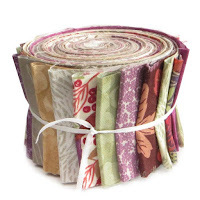 Pelenna Patchworks: Brand new Lewis & Irene Autumn Fields full patchwork fabric range! 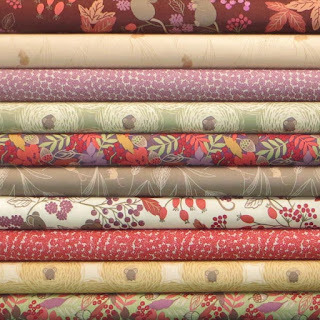 Brand new Lewis & Irene Autumn Fields full patchwork fabric range! As the nights draw in and the weather turns colder, the Autumn Fields patchwork fabric range from Lewis & Irene is perfect to snuggle up with! Featuring cute field mice and Autumnal leaves, berries and acorns and rich colours including berry red, country green, purple and straw, Autumn Fields is a charming collection that'll warm you up inside and out. We have the full 15 fabrics in the range available to buy by the metre, or you can buy a 10 fat quarter pack or stash pack, a charm pack or a 2.5 inch strip roll - both the strip roll and the charm pack contain 5 coordinating prints from the Autumn 2015 Bumbleberries collection.